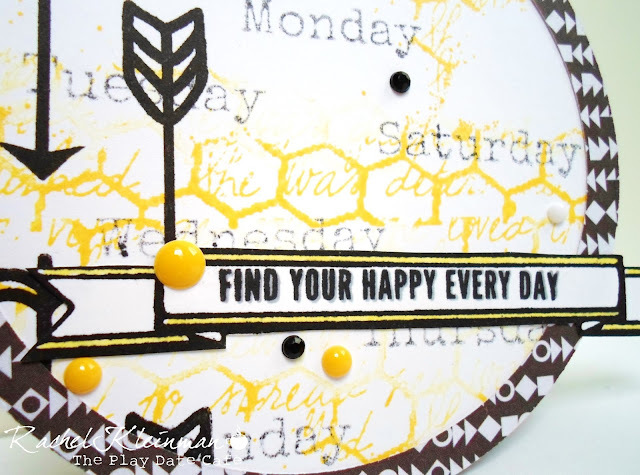 This funky circle card uses a big variety of stamps, so it was a lot of fun to create! 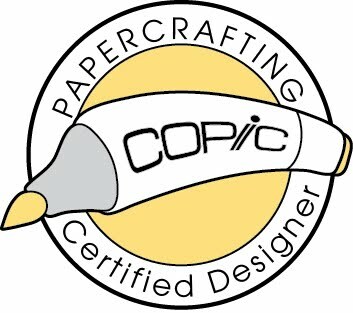 I die-cut the circles from white card stock and lightly stamped the honeycomb background in yellow. The fun arrows were arranged to stamped vertically down the left side. Then I stamped the days of the week, but first stamped on a scrap paper to make the black ink softer. I die-cut the circle border to pull everything together. 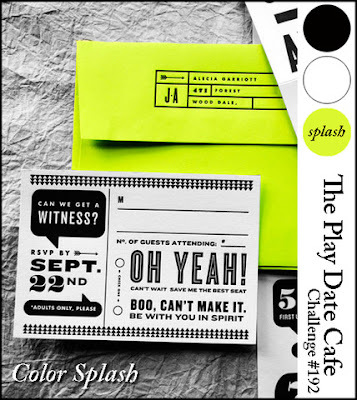 Add your project with some NEON YELLOW to the Play Date Cafe gallery! I love the neon and the arrows. Cool design. 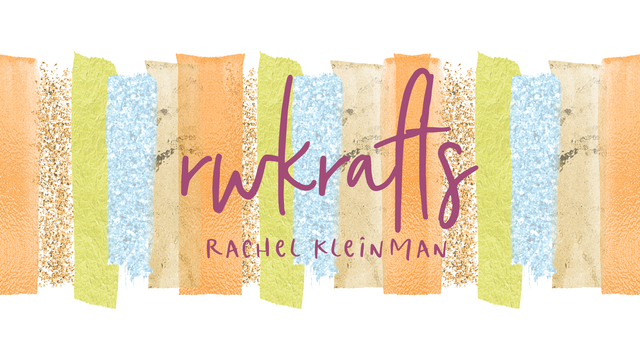 Cute circle card background queen!! Love how the banner goes right off the card!